Home > Browse > "OK, but next time you have to wear one." "OK, but next time you have to wear one." 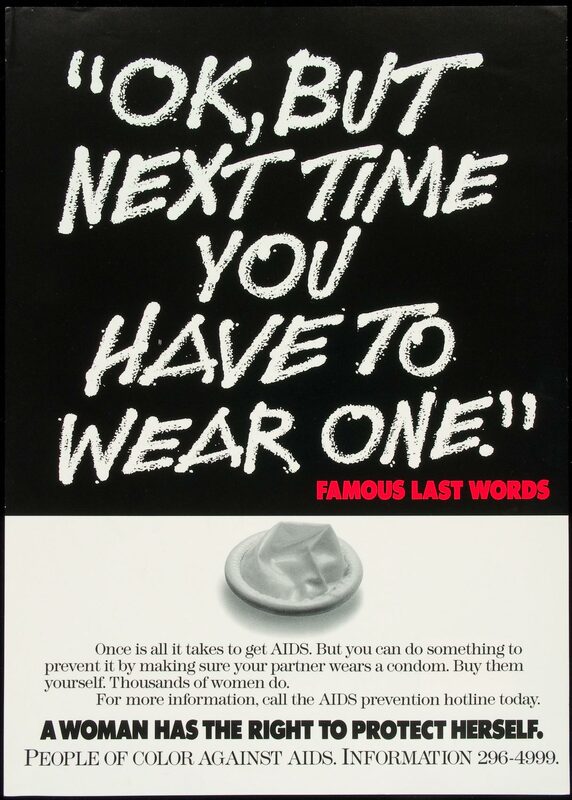 "Once is all it takes to get AIDS. But you can do something to prevent it by making sure your partner wears a condom. Buy them yourself. Thousands of women do." "For more information, call the AIDS prevention hotline today." "A woman has the right to protect herself." White text on a black background with photograph of a rolled condom.